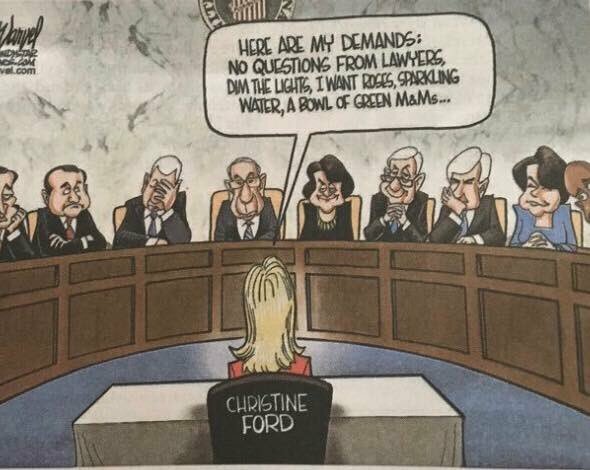 An editorial cartoon by Gary Varvel for the Indianapolis Star, about the demands set before Christine Ford would appear before the Senate Judiciary Committee, has brought outrage via the social media. The Daily Dot highlights a selection of those offended in the Twitterverse, along with a couple defenders. Andy Marlette‘s opposing viewpoint below. The full Indy Star apology. The image of the offending cartoon above was taken off Twitter from the Daily Dot article. As far as I can determine the cartoon has been erased from all official Gary Varvel sites. 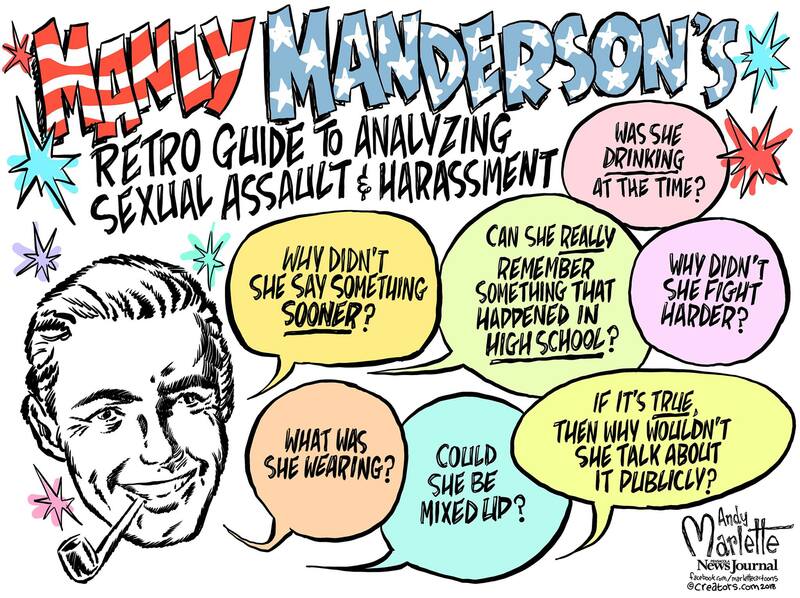 Would Varvel have been better off having Blasey Ford’s lawyer rattling off the stipulations instead of Blasey Ford herself? Maybe – A. F. Branco makes the same point, in different setting with the lawyer talking, and doesn’t seem to be attracting the same indignation that Gary is receiving. 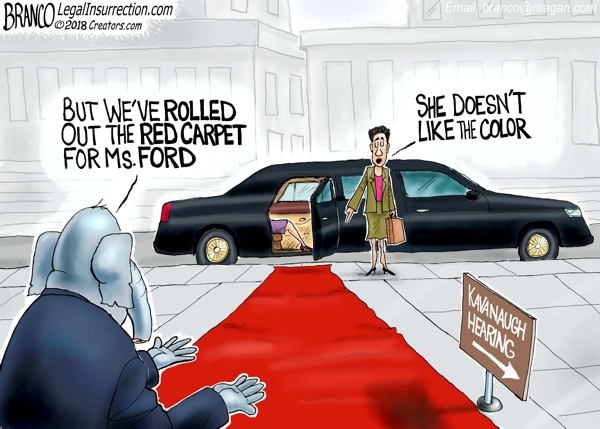 Would Varvel have been better off having Blasey Ford’s lawyer rattling off the stipulations instead of Blasey Ford herself? Perhaps not, but his editor might have been more inclined to stand behind him. 27 queries in 0.214 seconds.